Imagine a daily life of waking up earlier than the roosters to be on the road to Lipa for a two-hour drive just to attend school. Then, because the road does not really get any shorter for the drive back home, getting home each night when most classmates would have been enjoying a post-meal chat with the family or watching primetime television. Going to La Salle, Roy says, was something of a family tradition started after the closure of a Jesuit school in San Pablo in 1978. In high school, Roy was the quiet and respectful student; pensive, even. He was an excellent writer, which I appreciated because the quizzes that I gave were always of the essay type. He admits to the Social Sciences having been his favourite subjects in school. How he became a medical doctor was, he says, almost by chance. 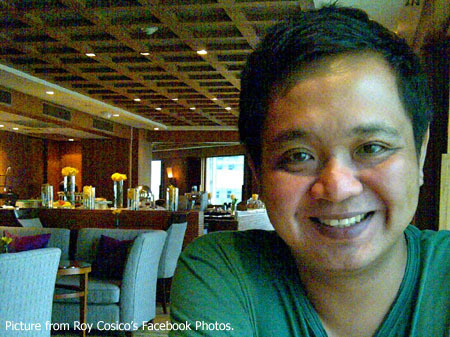 After high school, Roy enrolled under the honours Psychology program of the Ateneo de Manila. After obtaining his degree, he was invited to become a researcher for an advertising agency. He declined because what he really wanted was to sign up for the Jesuit Volunteer Program, which would have meant teaching for a year in one of the remotest areas of the country. His mother, however, prevailed upon him to undertake further studies while she could still support his education. Law was foremost in his mind; but law school application had already closed. So, Roy took the National Medical Admissions Test; passed the exams; and soon found himself enrolled at the Far Eastern University – Nicanor Reyes Medical Foundation. Whilst in the middle of the program, Roy authored two award-winning research papers, including the first diagnosed case of the DiGeorge Syndrome reported in the Philippines. The syndrome is a congenital genetic disorder that affects different bodily organs. Roy’s papers were recognized by both the Philippine Paediatric Society and the Philippine Medical Association. 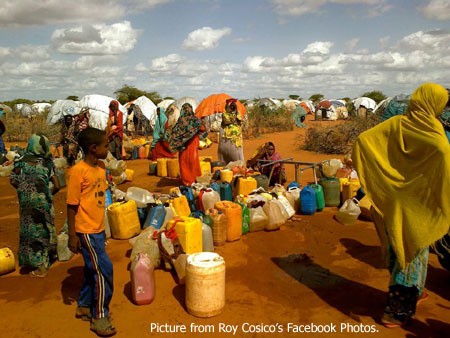 Towards the end of Roy’s residency in 2005, Roy came home one day and chanced upon a television program running on the BBC entitled Médecins sans Frontieres – Doctors without Borders. He had, before specializing in Paediatrics, actually wanted to volunteer for the Department of Health’s “Doctors to the Barrios” program. The BBC program rekindled the spirit of volunteerism in him so that the very next day, he applied online, was subsequently interviewed and eventually accepted in December of the same year. The organization was founded in 1971 and currently has more than seventy missions all over the globe. It was the recipient of the Nobel Peace Award in 1999. With Doctors without Borders – or MSF, the acronym for its French name – Roy has been assigned to Pakistan, Ethiopia, Sierra Leone, Turkmenistan, Nepal and Nigeria. 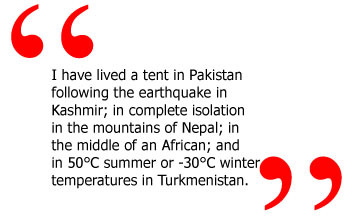 With MSF, he had come to the help of earthquake victims in Kashmir in Pakistan and dealt with cholera and measles outbreaks in Ethiopia and Nigeria. In Nepal, Nigeria and Sri Lanka, he was Project Coordinator who worked as over-all in charge of projects. This meant human resource management, financial control, provision of representation to local authorities and ensuring the safety and security of both international and local staff to ensure the implementation of the different medical programs. In Sri Lanka and Ethiopia, he worked as Medical Coordinator, overall in charge of the implementation of all medical programs among all the MSF projects in the country assigned. Apart from his assignments, Roy also gets to regularly visit MSF’s headquarters in Amsterdam in the Netherlands. From there, it is always just a convenient hop to another European country so that Roy has also visited Germany, Belgium, France, Spain, Italy, Greece and the UK. Roy has also added Spanish, Hindi and Russian to his native Tagalog and the English learned from school. He says that it would be interesting if he can learn Arabic as well, particularly as he is currently assigned in an Arab nation. 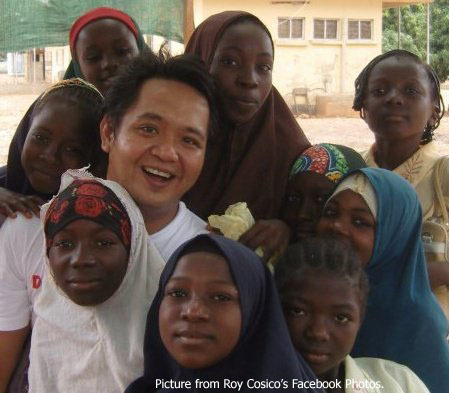 As a lover of history and cultures, Roy values travel as the most rewarding aspect of his job with MSF. Although he is away from the Philippines so much, he thinks that this actually helps to make him appreciate the country even more. 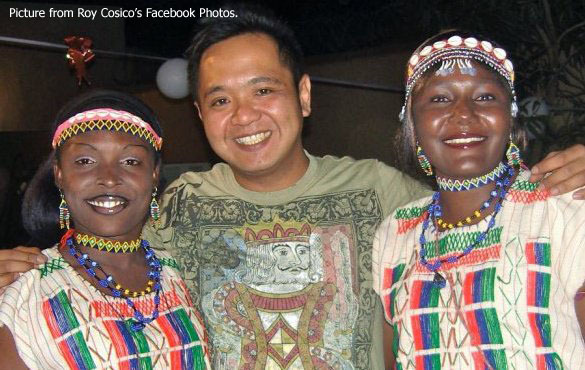 Working in countries where living conditions are really dire also enables him to look at the Philippines in a better perspective. That is just Roy making sure that, having gone so far forward in his life, he does not for one moment forget the peoples who touched his life in the past. His father Antonio – who passed away in 1999 – and mother Ma. Christina probably never even imagined when they had him what a gift to the world their son Roy would be.